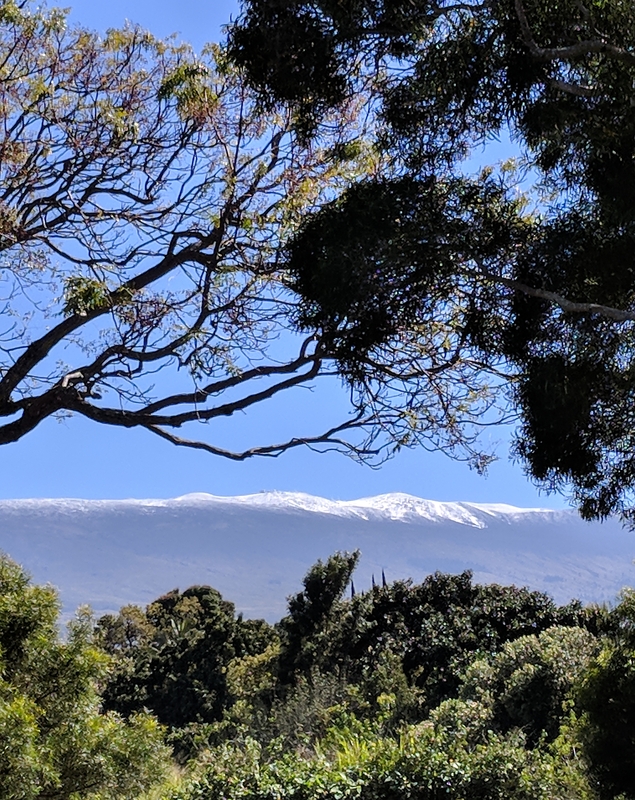 The Hawai‘i Department of Land and Natural Resources Division of State Parks reports that for perhaps the first time ever, snow has fallen in a Hawai‘i state park on Saturday, Feb. 9, 2019. 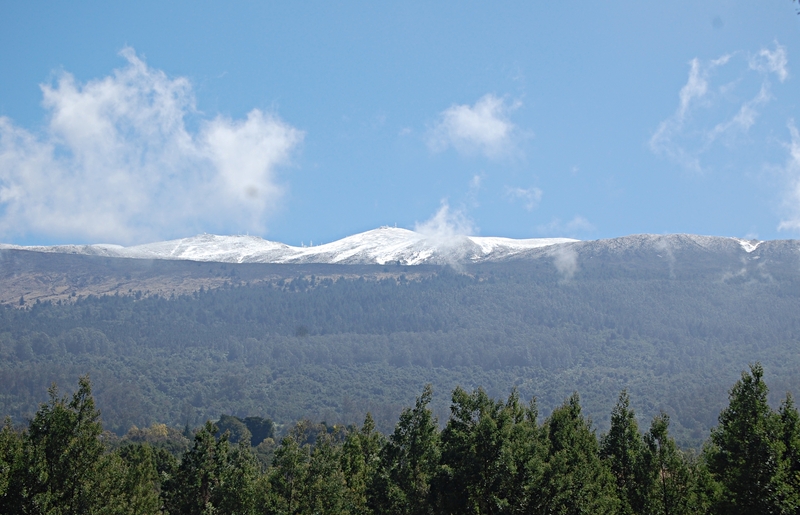 Polipoli State Park on Maui is blanketed with snow. It could also be the lowest elevation snow ever recorded in the state. Polipoli is at 6,200 feet elevation. 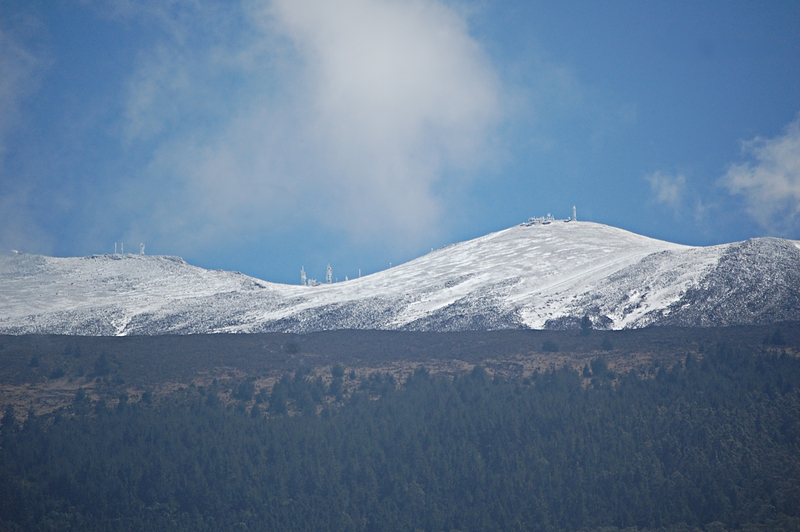 VIDEO: DLNR Winter Storm Monitoring, 2-10-19 from Hawaii DLNR on Vimeo. 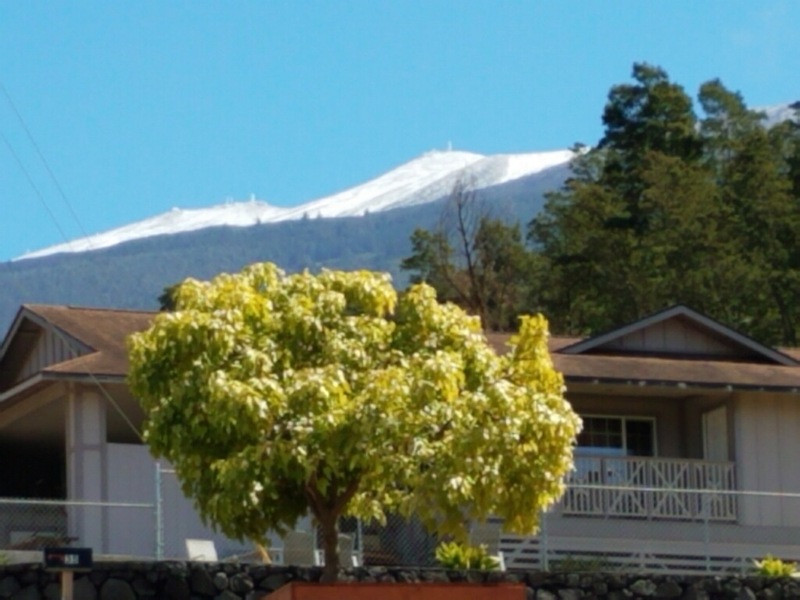 Personnel from numerous DLNR Divisions continue monitoring the impacts of the major winter storm bearing down on Hawai‘i. DLNR Chair Suzanne Case and Sam Lemmo administrator of the DLNR Office of Conservation and Coastal Lands spent the day on O‘ahu’s north shore where there is particular concern about coastal erosion and wave inundation. They watched as the height of coastal waves steadily increased across the day. 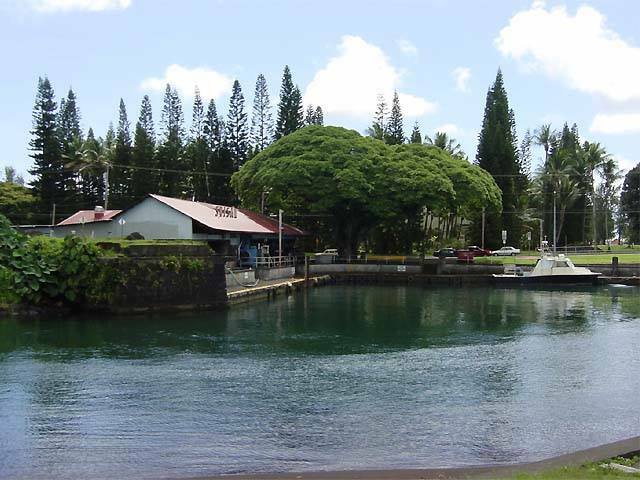 Lemmo’s office is particularly concerned about the possible impacts of wave inundation and shoreline retreat undercutting the foundations of some north shore homes, already under siege from previous coastal events. The storm has forced the closure of numerous state parks across the state. Many campers cleared out yesterday and officers from the DLNR Division of Conservation and Resources (DOCARE) manned road blocks on closed roads. Kaena Point State Park Reserve closed yesterday and DOCARE officers are stationed at Dillingham Air Field to stop people from entering. This morning they also asked a half-dozen surfers at Malaekahana State Recreation Area to exit the water. At Koke‘e-Waimea Canyon State Park on Kaua‘i several trees had fallen. None were blocking roads and no one was hurt. State parks reports additional closures of park units is possible as the storm tracks east and south. At the Lahaina Small Boat Harbor, a 27-foot sail boat broke free from its mooring and ended up on rocks on Front Street. 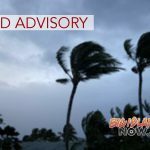 Portable toilets blew over at the Waianae Small Boat Harbor on Leeward O‘ahu but no other damage has been reported at state small boat harbors. Field crews will be assessing damage to state parks, forests and trails on Monday, Feb. 11, prior to reopening them.